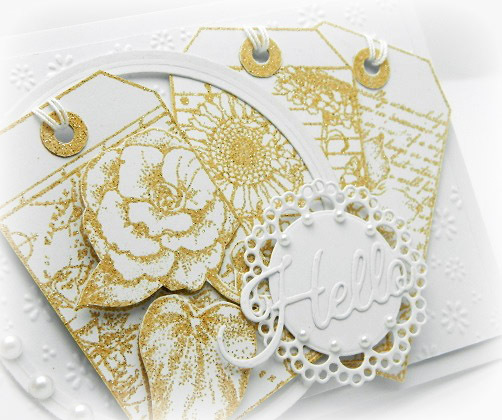 Penny Black transparent stampset Blooming Tags & Hello Frame Creative Dies. Cuttlebug Embossing Folder, Marianne Design & Spellbinders Dies, Pearls. The sentiment is from SRM stickers. Sweet Nothings Paper - Kaisercraft, lace border 8 - Crafter's Companion. Colored Pencils, Glossy Accents, Ribbon, Rhinestones. 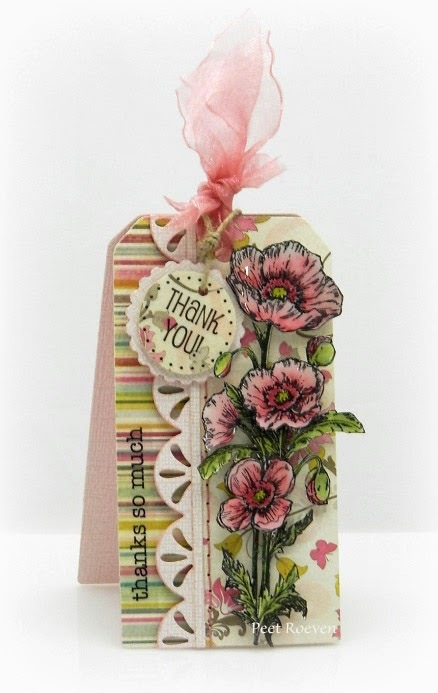 Penny Black Wood Mounted Stamp Poppy Parade & Tagged Creative Die. 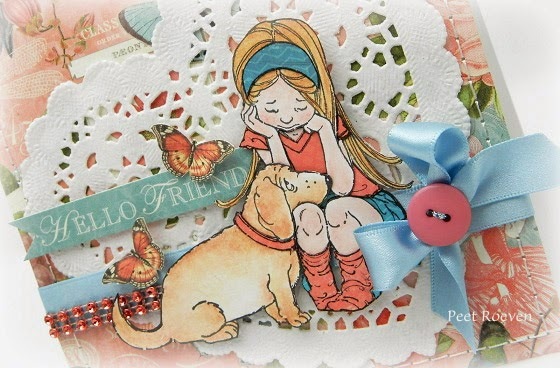 Paper from MME, lace border 8 Die - Crafter's Companion, Color pencils, Glossy Accents. Triple Banner Creative Die, Eyelet White ep400 Embossed Paper, "Mix & Match" Paper.